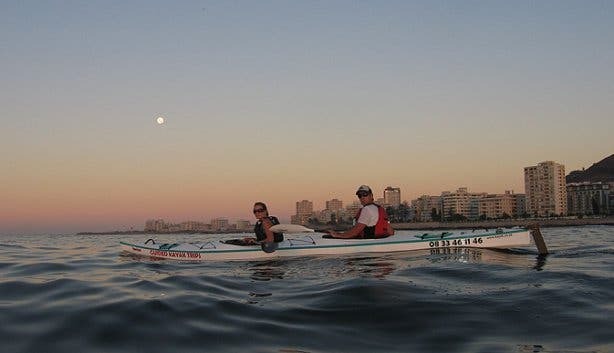 There’s virtually no traffic at 5:30am on a summer's weekday as I make my way to the Kaskazi Kayaks & Adventures base, tucked neatly next to the Shell Garage in Mouille Point. 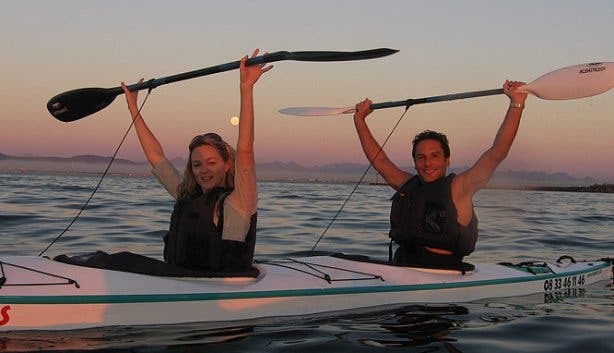 I’m encouraged by two people with wildly different characters, who both share a passion for kayaking. 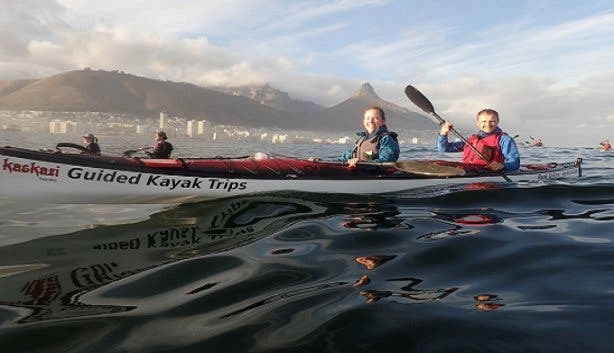 My boss, the ultimate discoverer who’s kayaked about 50 times with Kaskazi over seven years, chooses this as his top experience to share with friends, family and business partners. 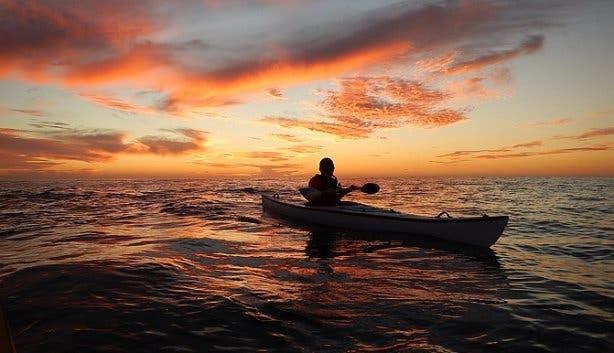 “I like to watch people rediscover Cape Town.” The other, my friend, who never leaves the house, loves kayaking for its solitude. 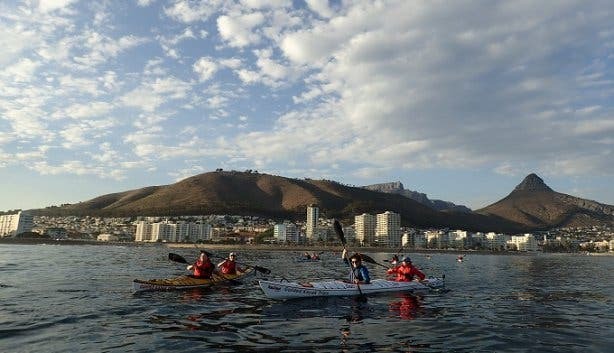 Like walking and running, no great skill is required for kayaking, and, at R400 per person for 90 minutes of pure fun, almost anyone can afford it. 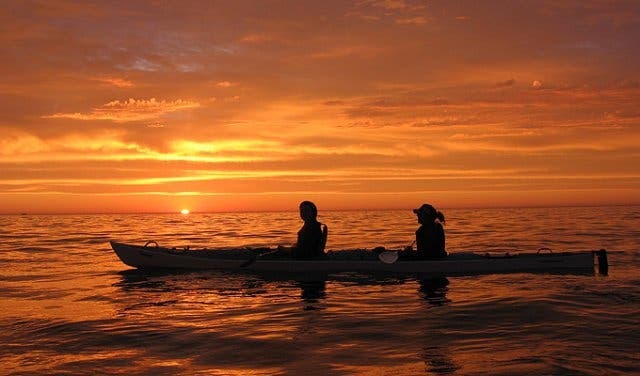 But richer than walking and running, kayaking is an adventure – it uncovers something different every single time – in you and your environment. Pulling up at Kaskazi, I’m greeted by dogs and other excited paddlers as I load my belongings in a locker, zip up my buoyancy aid and listen to the safety briefing. Splash covers secured around our waists, our group and guides head down to the kayak-lined slipway. 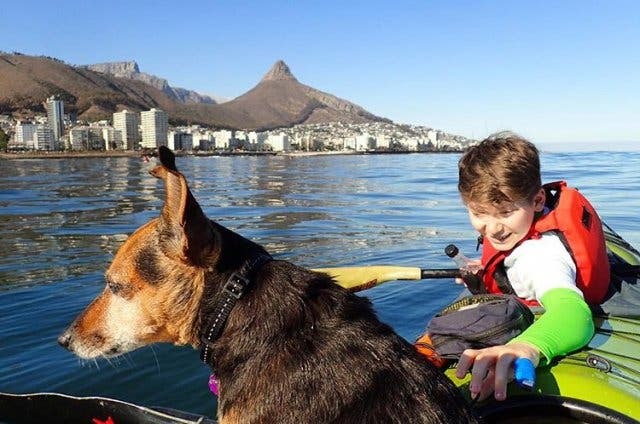 We’re two per sleek kayak, all built by Kaskazi and safe enough for a child, dog or geriatric. “The oldest paddler we’ve hosted to date was 88,” says Tracy Rauch, owner of Kaskazi. With our legs extended, we’ll use our paddles to stroke the water, one side at a time. My taller partner takes the back seat, which means he will be steering using the foot pedals. I, at the front, will be pure brawn and set the pace for us both. As we launch single file with guides ahead and around us, the sun rises steadily over the horizon, illuminating the aquamarine hues of the Atlantic’s playful swells. 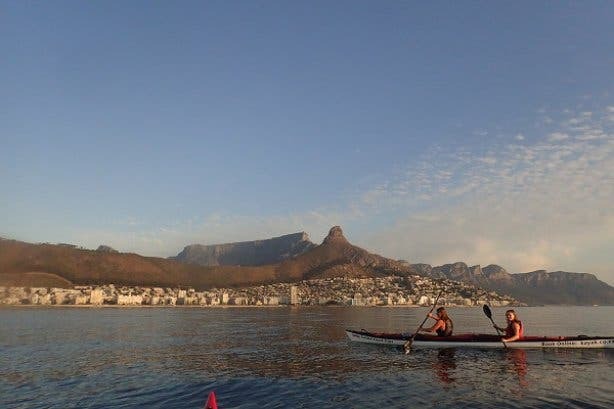 Soon, we get into a paddling rhythm as we marvel at the shape of Lion’s Head, suddenly transformed from this perspective on the water. 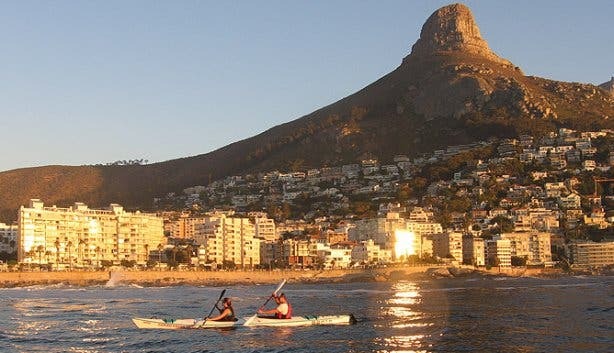 We paddle along the coast and follow the promenade in the direction of the Green Point Lighthouse. We see something ahead and one of our guides stops to tell us more about it. It is the remains of the engine block from the shipwrecked RMS Athens, which was devastated by the great hurricane in Table Bay in 1865. The Atlantic ocean marine life is a like a magical mystery waiting to be explored! Absorbed by the views, we are suddenly paddling briskly to stay near the front of the group. After a while we realise that it doesn’t matter how far ahead or behind we are. 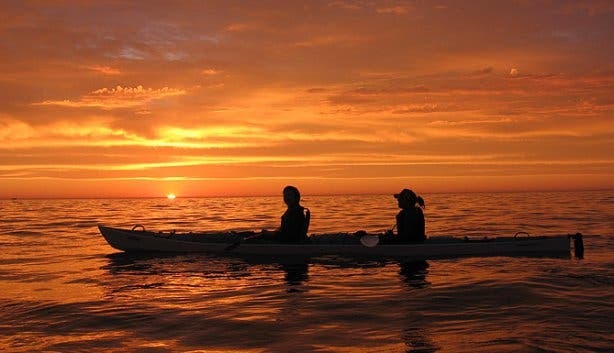 This is the ocean, and our rowing speed has no bearing on the habits of ocean life. 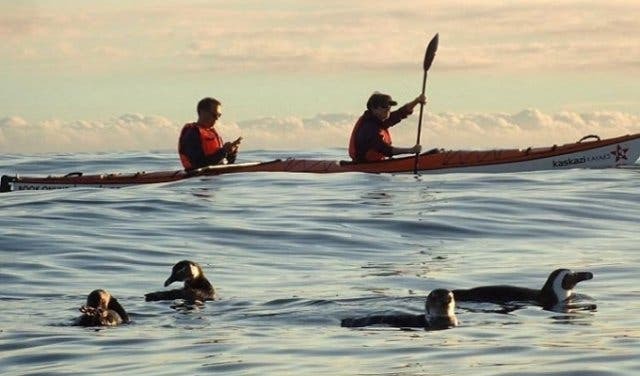 As soon as we surrender to the ocean, nature presents itself to us when a raft of African Penguins sail past, bopping in the water. There used to be two million African Penguins (also known as Jackass Penguins for their loud donkey-like call), but now there are only about 30 000. Thousands of tourists and locals trek to Boulders Beach in Simon’s Town to see them; few know that they also swim right off Granger Bay, and live on Robben Island! Another animal that loves the morning sun is the mola mola. 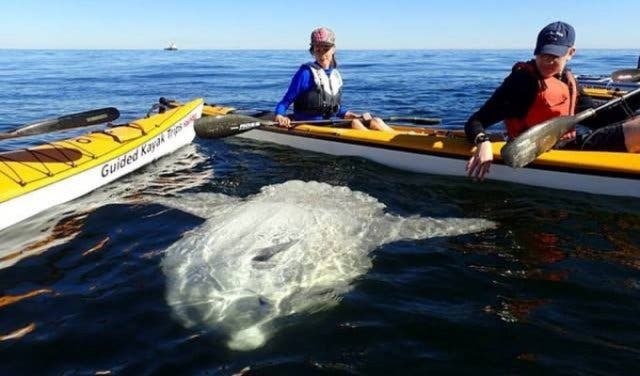 This peculiar-looking sunfish is the largest bony fish in the world. Sunfish, in general, surface for warmth from the sun and for parasites to clean them and to eat jellyfish. 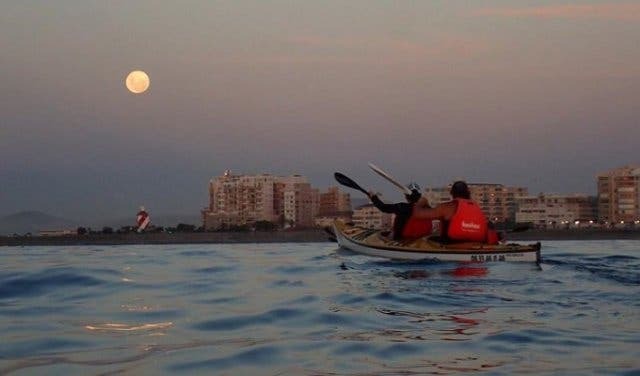 Kaskazi does sunrise and sunset kayaks, explains Tracy, to avoid the heat of the day that often brings about an “ocean siesta”, when you typically see less marine life. 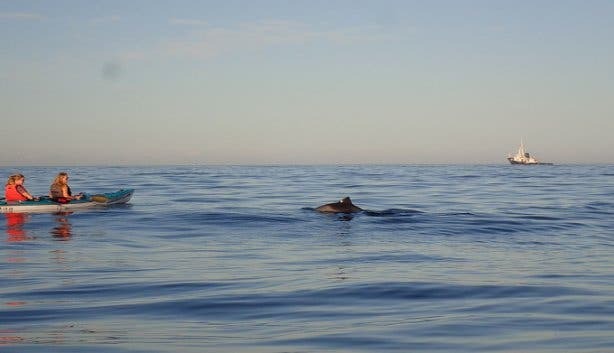 In whale season, from around June to November, you might see Southern Right whales that travel to Cape waters to calve. 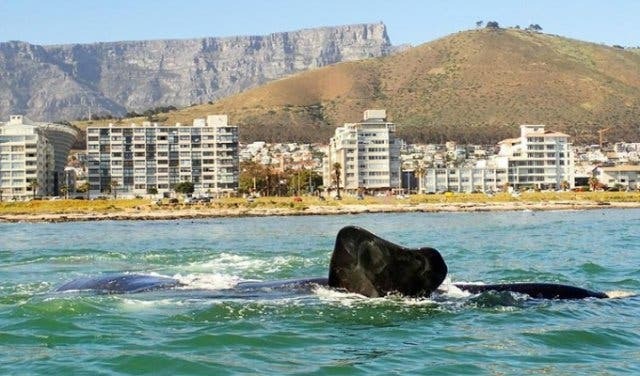 Tracy says: “We have noticed in recent years that quite a large number of Southern Right whales stay as late as February along the Table Bay coast if there is enough food to eat." Other times the skies are blue and the water aquamarine. It depends on the weather, the seasons and time of day, which also predict the route (for the paddle), says Tracy. Eventually we turn around and the waves help us back to shore. 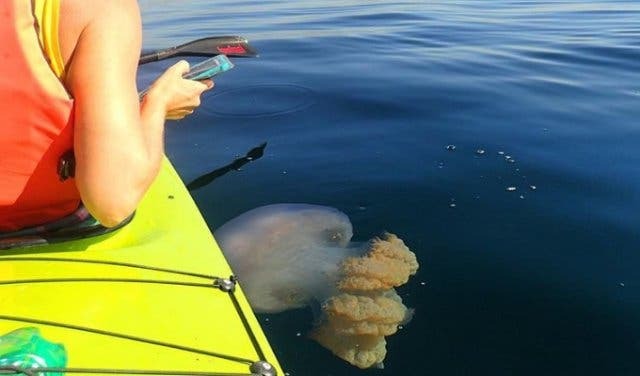 We beach our kayak and climb out, high-fiving each other that we hadn’t toppled. 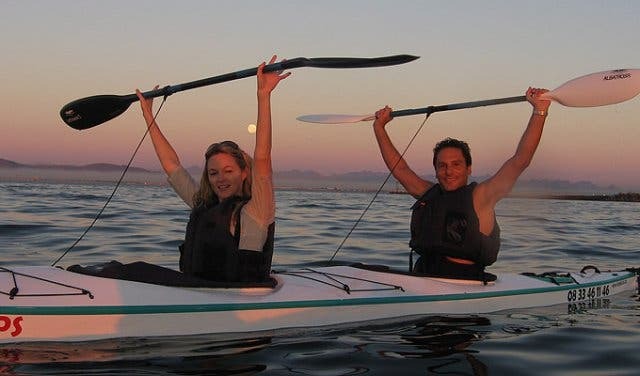 No major feat on our part, Kaskazi kayaks are superbly stable, but your core stabilisers get a great work-out to keep you balanced and topple-free! The penguins were a bonus, but ultimately it’s about the entire adventure and the zen of yielding to the ocean. 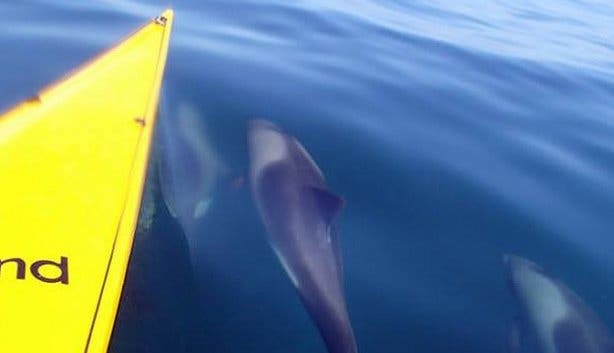 In the solitary moments with water lapping at your kayaks you realise how small you are. It is awe-inspiring to be in a narrow floating island, on an ocean well-known for its turbulent storms and many a shipwreck, on a regular Friday morning before work. Nothing quite prepares you for the serene yet reflective state the lapping ocean offers. 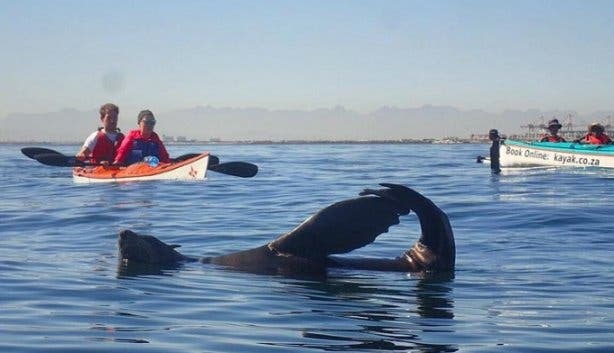 It is truly marvellous to observe Cape Town from the same vantage point the local marine wildlife do when they jump and breach and spyhop! 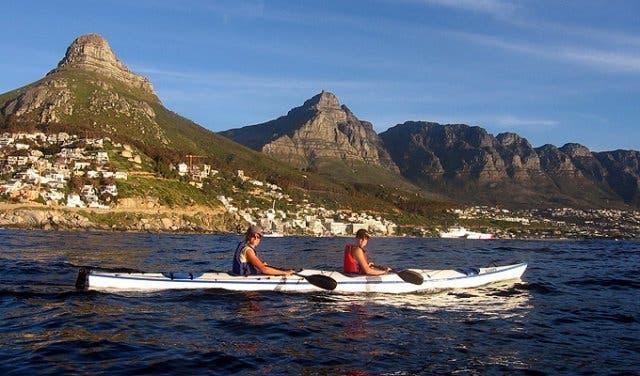 Kayaking is truly exactly what we all need to escape the rigours of daily life and de-clutter your mind and heart! Hours: Mon–Sun: The trip times change due to seasons and sun, so contact Kaskazi via email if there is no answer by phone. 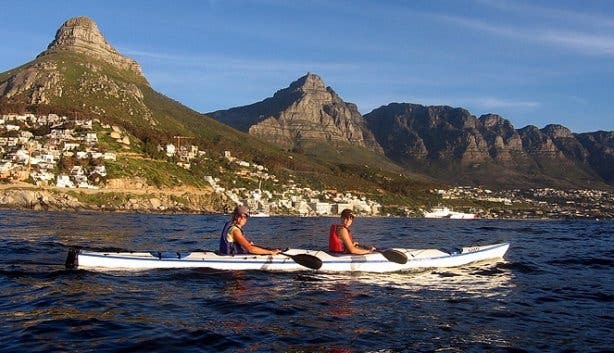 Explore these fun ways to keep fit or cycle on water and see Simon’s Town from a Water Bike.